After studying at the Royal Academy of Arts in The Hague, The Netherlands, Hanselaar soon got a taste for a nomadic life and travelled, in a quest for adventure and self-knowledge, extensively all over Asia, the Middle East and Europe. 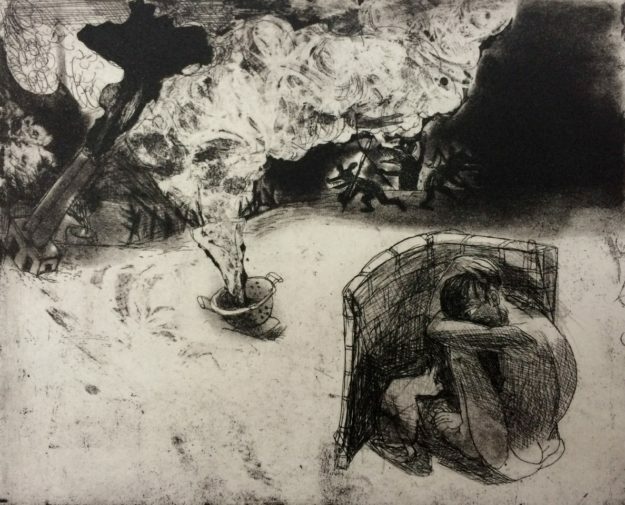 Finally she found her refuge in a central London studio where through the medium of painting and printmaking she feels free to explore the bleaker, more unsettling facets of the human psyche. 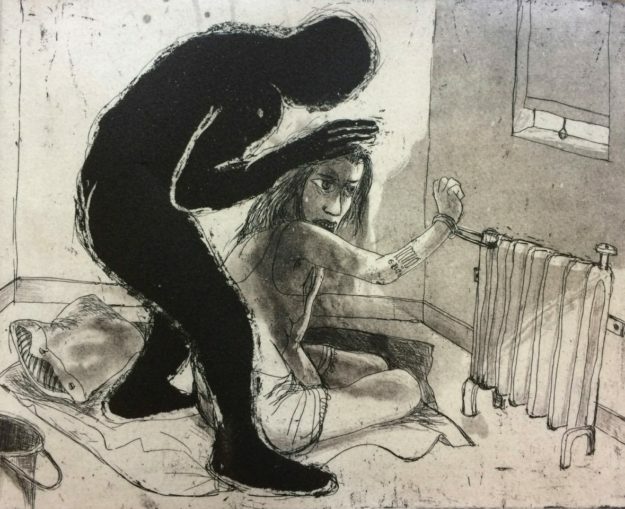 Etching is the art form in which Marcelle Hanselaar has demonstrated an uncommon facility and she is considered one of the most accomplished printmakers working in Britain today. Although often leavened with a certain mordant humour, much of Marcelle Hanselaar’s work comes across as an uncompromising exploration of human relationships. 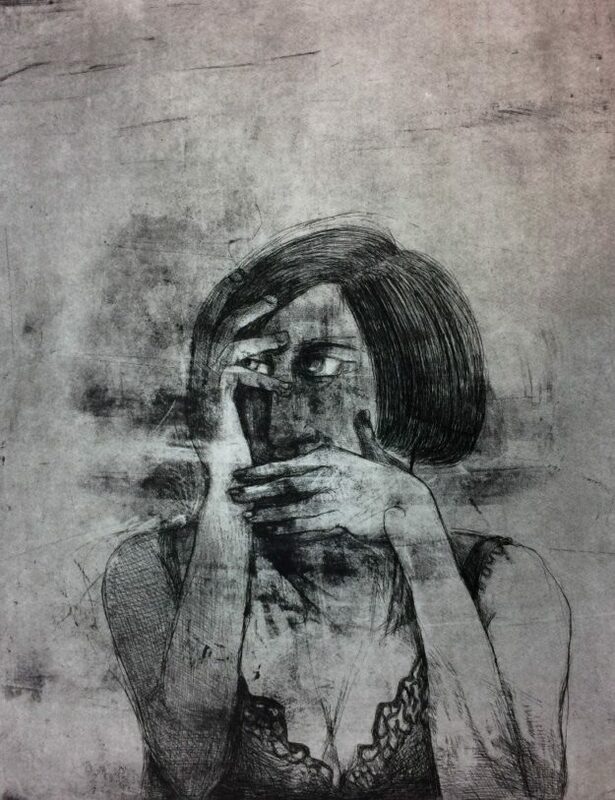 Her latest portfolio of 30 prints, The Crying Game, is a passionate response to the present day violence and the urgent question of moral complicity. Recently both the Ashmolean Museum and Fitzwilliam Museum acquired these prints for their collection and a fully illustrated book, The Crying Game, has been published.